This story is about a group of people who live in my small, Midwestern town whose vision is world-wide. Their work to help poor, neglected children around the world is phenomenal. Information to contribute to this ministry is listed at the end of the article. Please consider helping them. Twenty-seven million people in the world are involved with human trafficking. The illegal trade of humans, mostly women and children, for the purposes of commercial sexual exploitation or forced labor is considered by many to be the fastest growing criminal industry in the world. This modern-day form of slavery is projected to involve 100,000 people daily in the United States; 80 percent are children under the age of 18. Hartsell is Associate Pastor of Adult Ministries & Counseling of Hope Missionary Church in Bluffton. In 1999 he founded a ministry called Forgotten Children Worldwide (FCW; it was formerly called Forgotten Children International). Today he is Executive Director of the organization. Matt Hartsell grew up in Swanton, Ohio, and graduated from Fort Wayne Bible College as a Christian education major. He later earned a Master’s degree in Psychology from University of Saint Francis in Fort Wayne. The first thing he and other volunteers did was send boxes of clothing to orphanages in Russia. The mission continues today with beige bins with green tops and signs promoting Forgotten Children Worldwide are located at several area churches and business in Allen, Adams and Wells counties. In the Ossian area bins are located at the BP gas station, United Methodist Church on Mill Street and at Living Faith Missionary Church. In Bluffton a bin is placed at Forgotten Children Worldwide main location at 650 N Main St. Crossroads Pantry in Markle, The Chapel and Avalon Missionary Church in Fort Wayne, D&D’s Time Saver Gas Station in Decatur, Abracadabra Hair Salon in Geneva, and Marathon Station in Monroe also have bins. Volunteers drive trucks to each of the collection sites on a regular basis. “Forgotten Children Worldwide is primarily a volunteer-powered organization,” said Hartzell. The group collects clean, gently-used clothing, shoes, jackets, and coats and book bags. Sizes of clothing range from infant to medium adult. No undergarments are accepted. During its first decade, the ministry mailed many 20,000-pound containers, packed with clean children’s clothing, to the Ukraine and India. Over the years Hartsell and others associated with the organization have traveled to these countries to meet with religious leaders to promote the distribution of the clothing, construction of orphan home, self-sustainability projects and wells. “A vast group of passionate volunteers is the energy behind the growing organization,” said Hartzell. Hartzell’s plan is to have native Indian leaders work with Hindu women, convincing them to forgo prostitution and not involve their children in sexual slavery. “Pastors in Uganda and Kenya will find foster families where orphans may live, instead of orphanages,” said Hartsell. 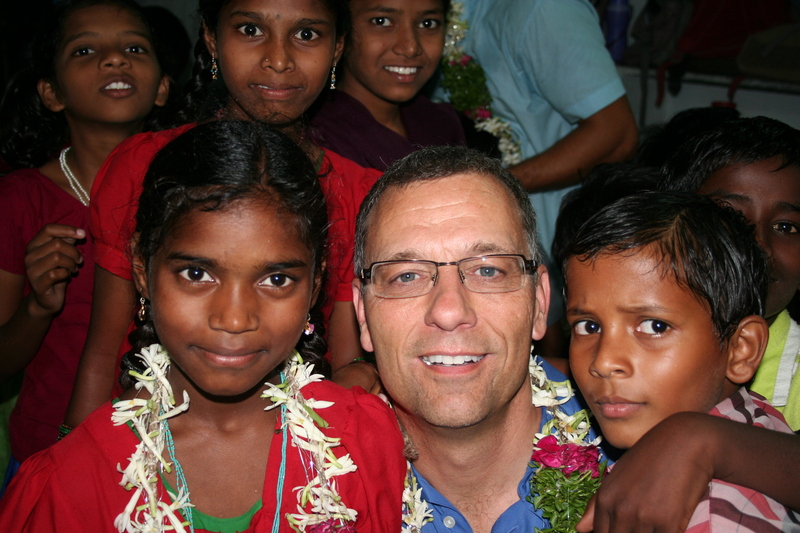 “These children can be sponsored for $25 each month to care for the child. Each of the children living in a home through the Forgotten Children Worldwide sponsorships receives daily food, clothing, and devotions with Christian house parents. They attend church and are prayed with daily. The money is also applied towards a child’s physical and medical needs, spiritual training, and schooling.” He adds that nearly 400 children around the world are currently sponsored through this program. 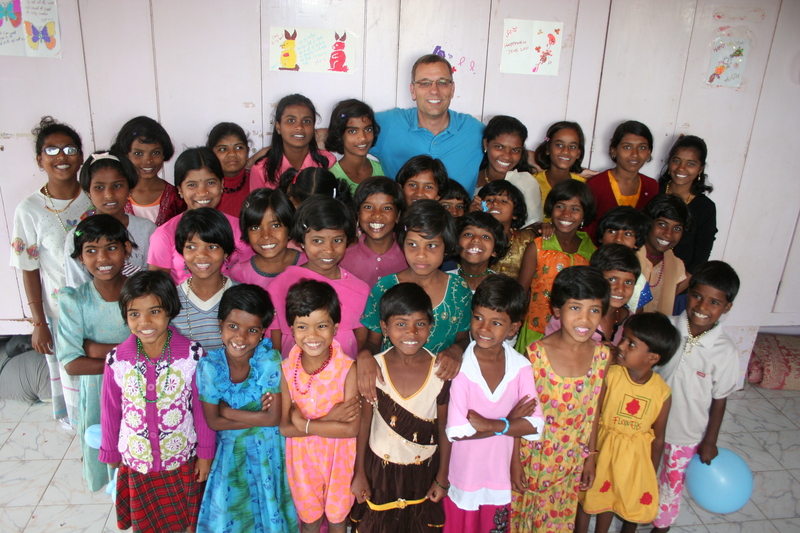 For more information about Forgotten Children Worldwide go to http://www.forgottenchildren.org/. 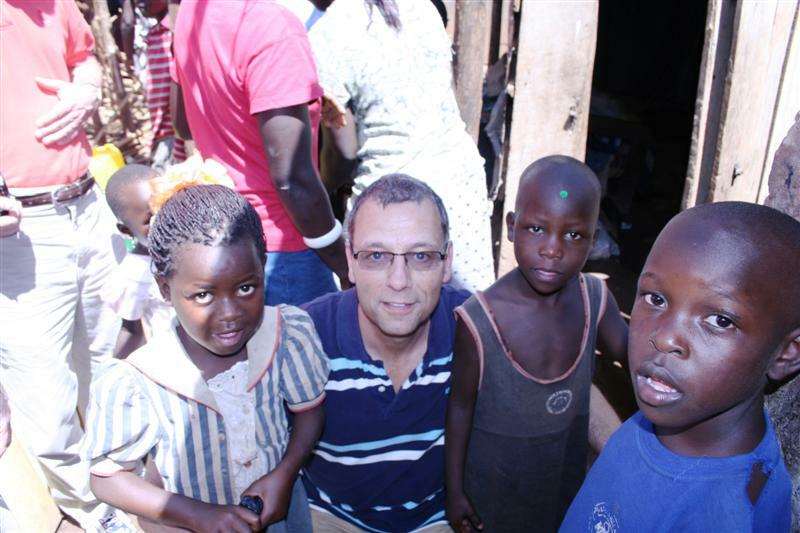 Cutline: Matt Hartsell, director of Forgotten Children Worldwide, poses with Ugandan orphans during a recent trip to the African country. Restoration by God Is Possible—and Awesome! Have a Testimony to Share? Do it!